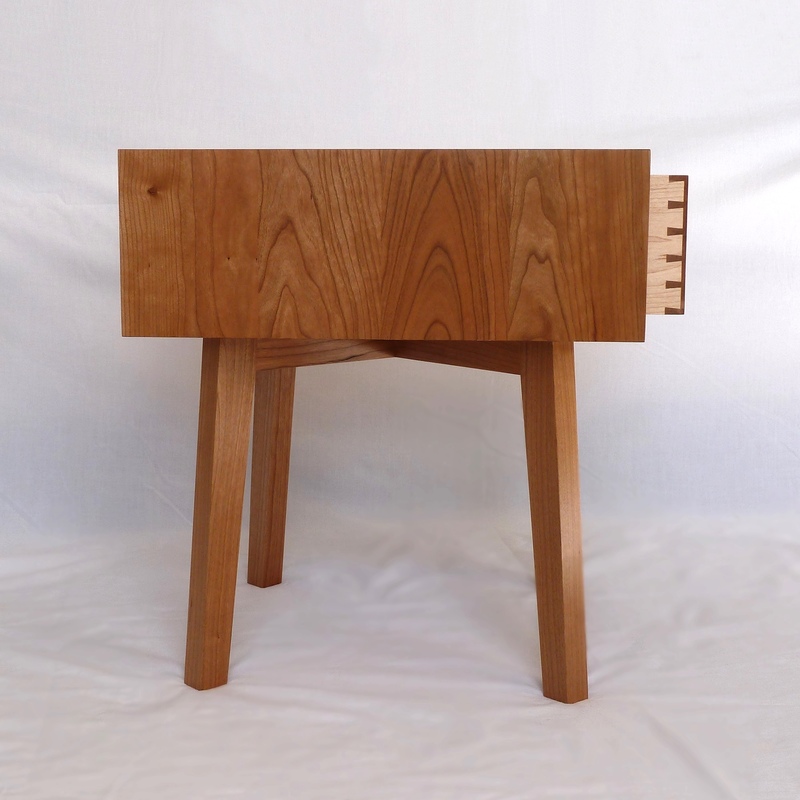 This client is keen on things made from wood and especially keen on handmade pieces demonstrating real craftsmanship. They decided that they would like to commission two bedside tables for the house and the commissioning discussions began ……. Irene had an initial discussion with the client to understand what their preferences were and talk about their budget for the tables. A house visit followed and the exact dimensions of the tables were discussed as they had to fit into specific places. Type of wood and colours of wood that would suit the room were considered, along with discussion on drawer size and finishing requirements. With an idea of the table design and initial thoughts on construction, Irene provided the client with a guideline price for the two tables. The client then confirmed their intention to proceed with the commission and the project moved onto the next stage, detailed design. 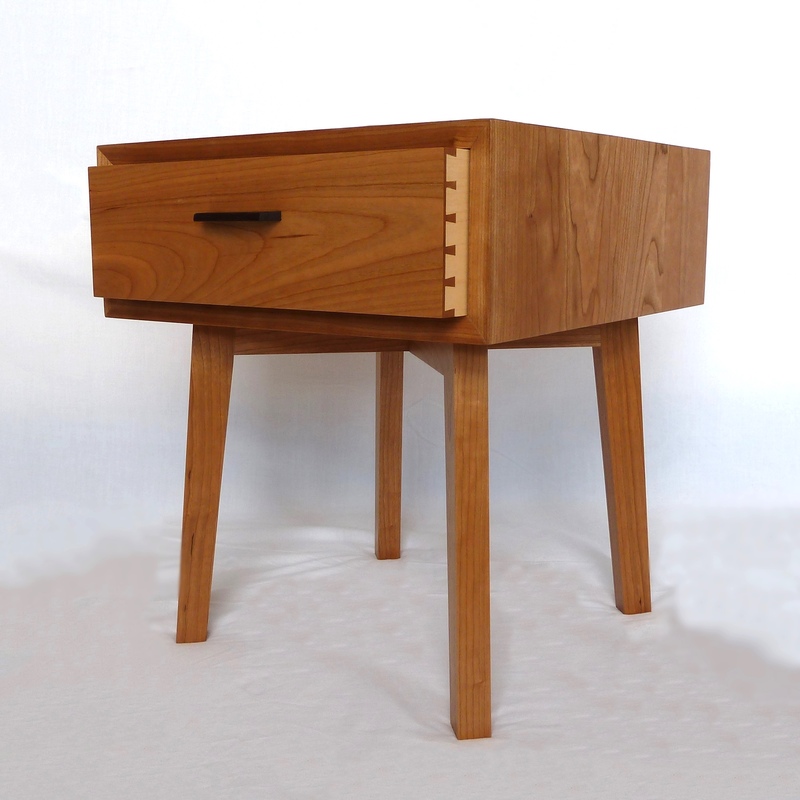 With the client’s preferences in mind, Irene drew up a sketch of the preferred bedside table design, together with a couple of other options in less detail, for discussion. Irene met with the client in a coffee shop near the workshop, where she presented her preferred design and also the other possible options. The table top plan area and height were designed exactly as per the client’s specified dimensions and the single drawer was sized to provide suitable aesthetics for the table as a whole. We discussed the type of wood (Cherry to match other furniture in the room), the final finish (a hand applied wax/oil for a robust protective finish) and other design details. The client was very happy with the preferred design and proceeded with a visit to Irene’s workshop, where they were able to see the machines and tools that would be used in the making of their tables and also view some samples of natural cherry wood. Following confirmation of design and details, Irene advised the final price of the two tables and expected lead time and the commission progressed to construction. Unlike the extending dining table (see other case study) these bedside tables do not include any complicated mechanisms or particularly unusual movement and it wasn’t necessary to make a mock-up to prove the concept, so construction proceeded once workshop space was available, as per the agreed schedule. Once the tables were complete, delivery was arranged. 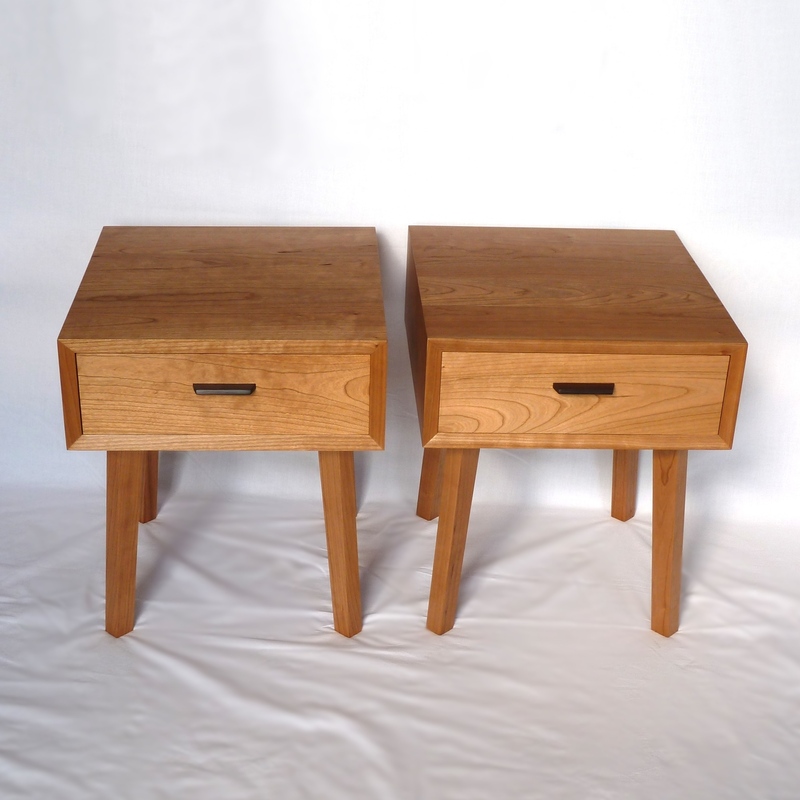 As the bedside tables are relatively small, the delivery process was very simple and straightforward with Irene delivering into the client’s house on an agreed day.